Lock software and EXE files with password. 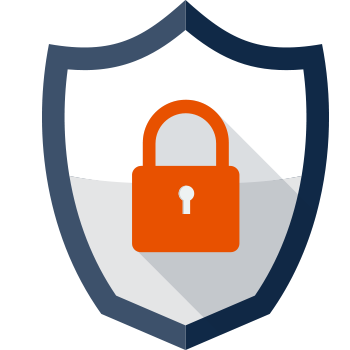 Password protect web browsers, media players, chatting tools, etc. A straightforward application without paying anything. 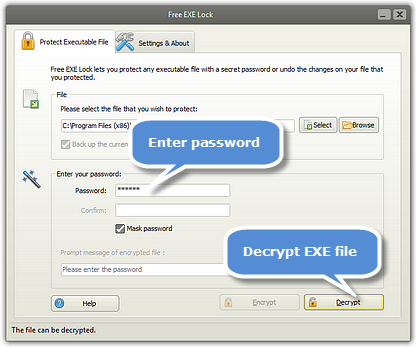 Lock executable programs on your computer to password-protect any executable file from non-authorized execution. 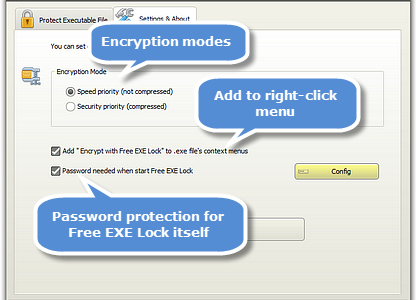 You can choose the message to display if anyone runs the locked programs. 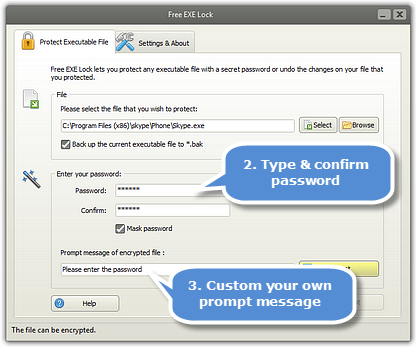 As program encryption software, Free EXE Lock offers the password protection for itself. 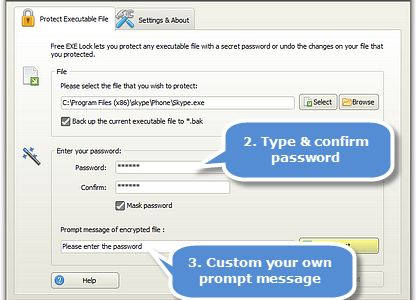 Anyone who wants to run Free EXE Lock must enter valid password first. 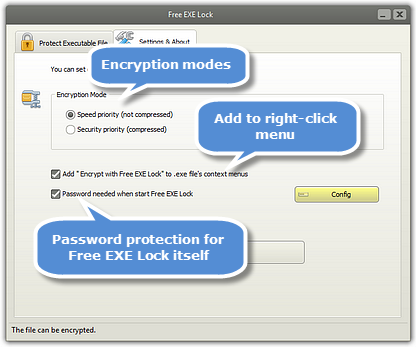 Lock your EXE programs with 2 encryption modes: Speed priority – faster but not compressed; Security priority – slower mode, secure & compressed. 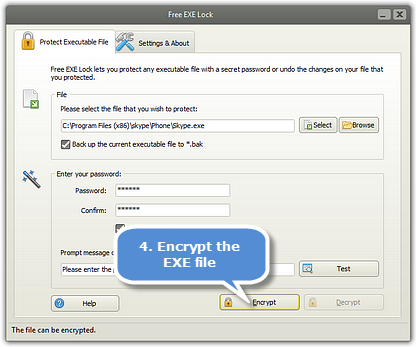 Backup files for security purpose in case some unexpected errors occur during encrypting to restore the original file; create right-click menu to encrypt your .exe files swift. 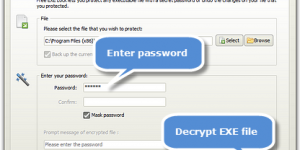 We appreciate this program encryptor very much for it gets all things done in a simple interface. 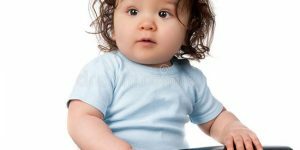 A human-oriented creation worth being other developers’ example! 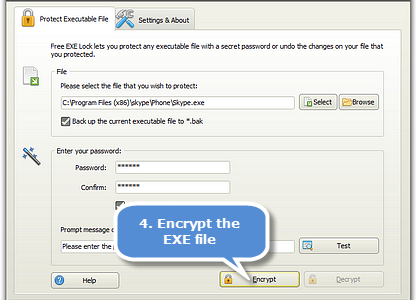 Video Tutorial – How to Encrypt EXE Files?